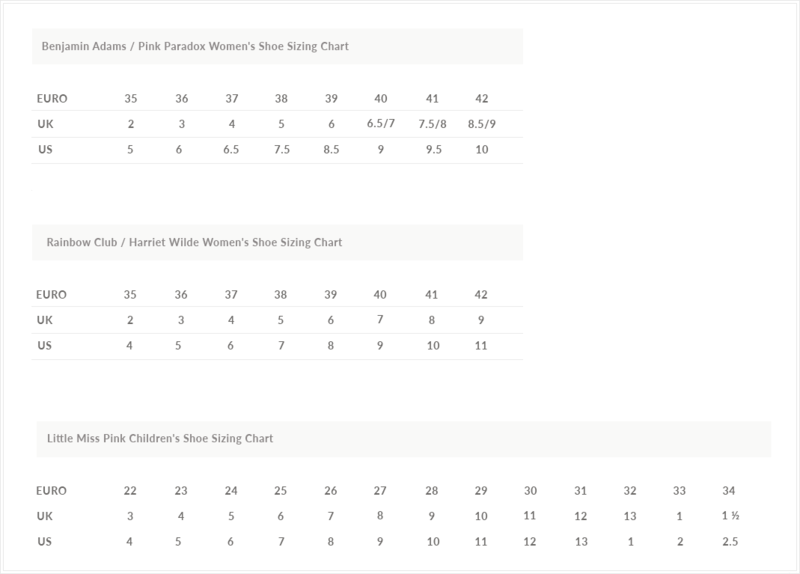 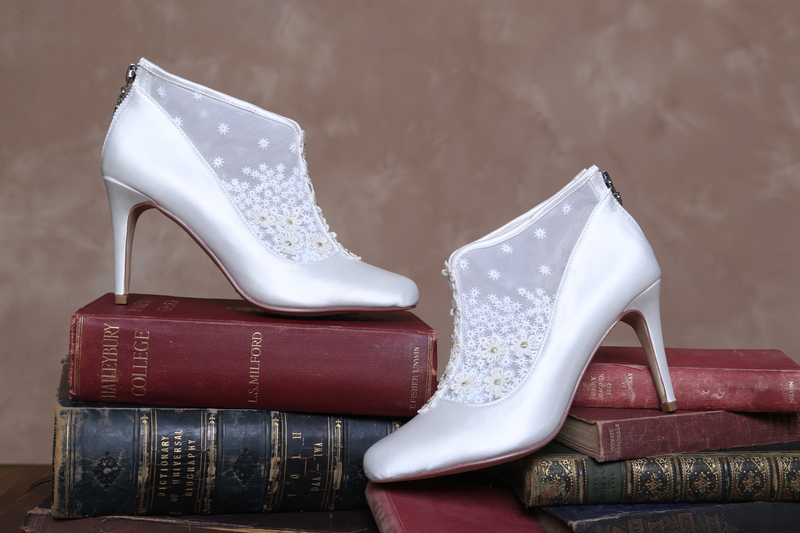 Perfect Bridal Hattie Wedding Boots. 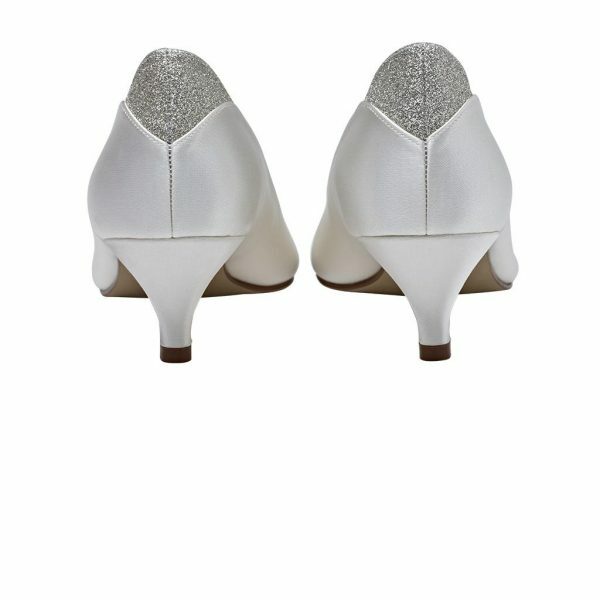 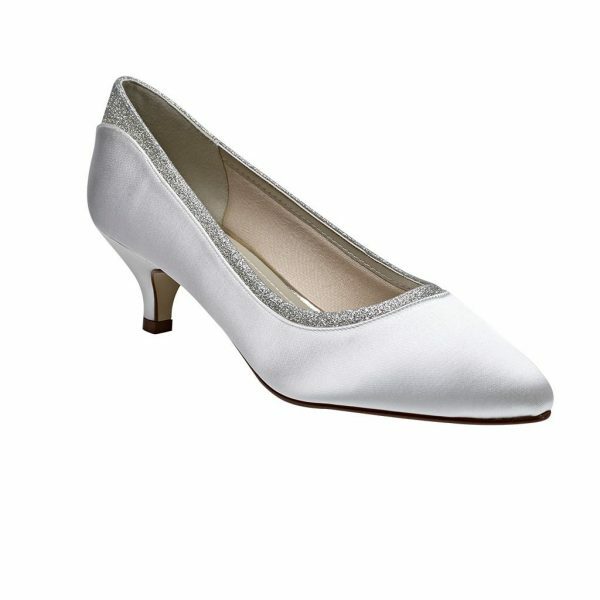 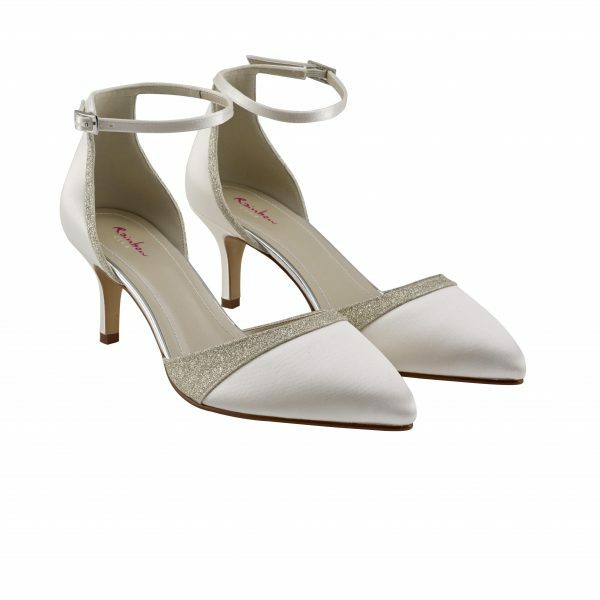 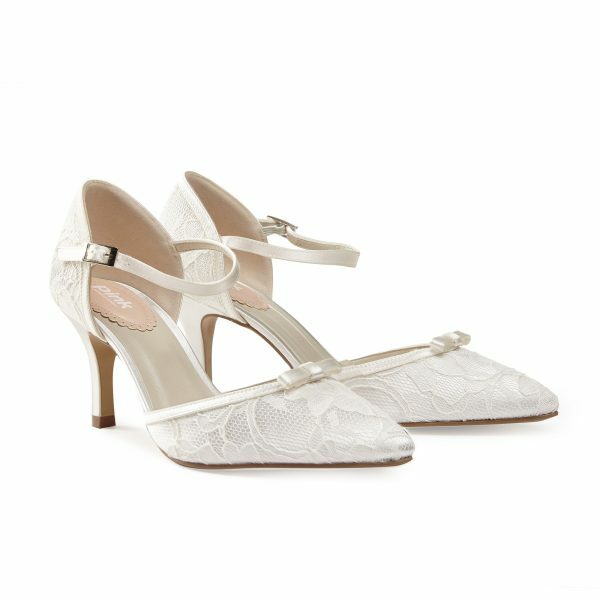 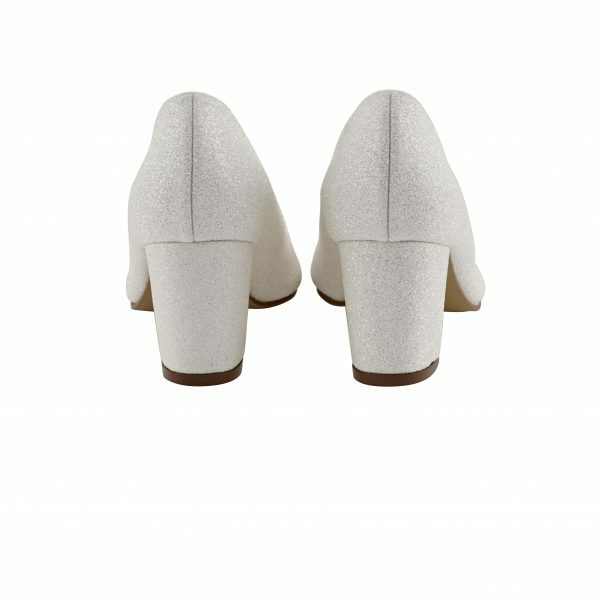 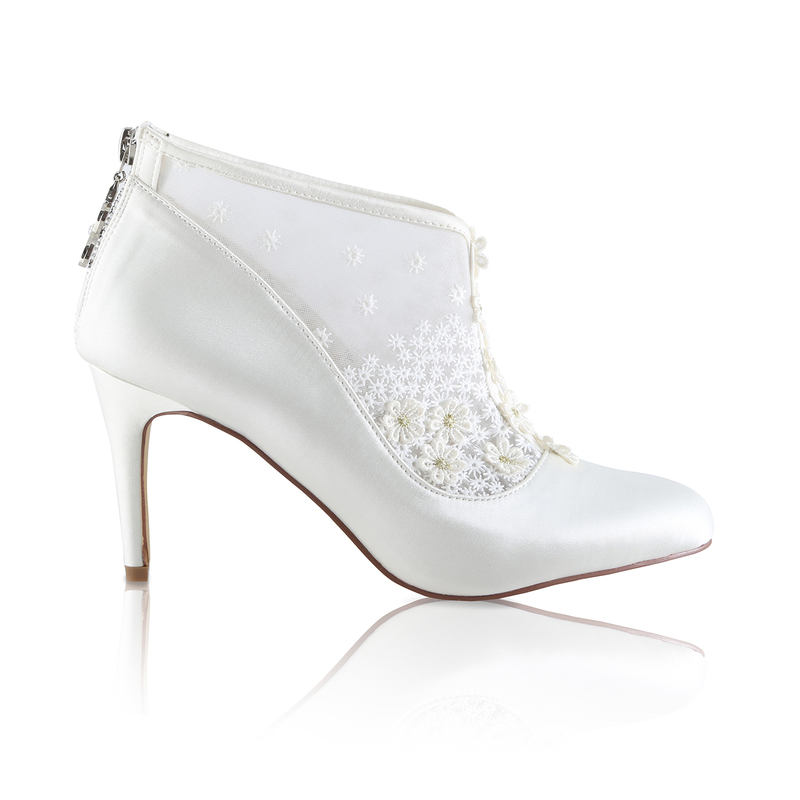 Hattie is a vintage inspired bridal boot in soft ivory satin. 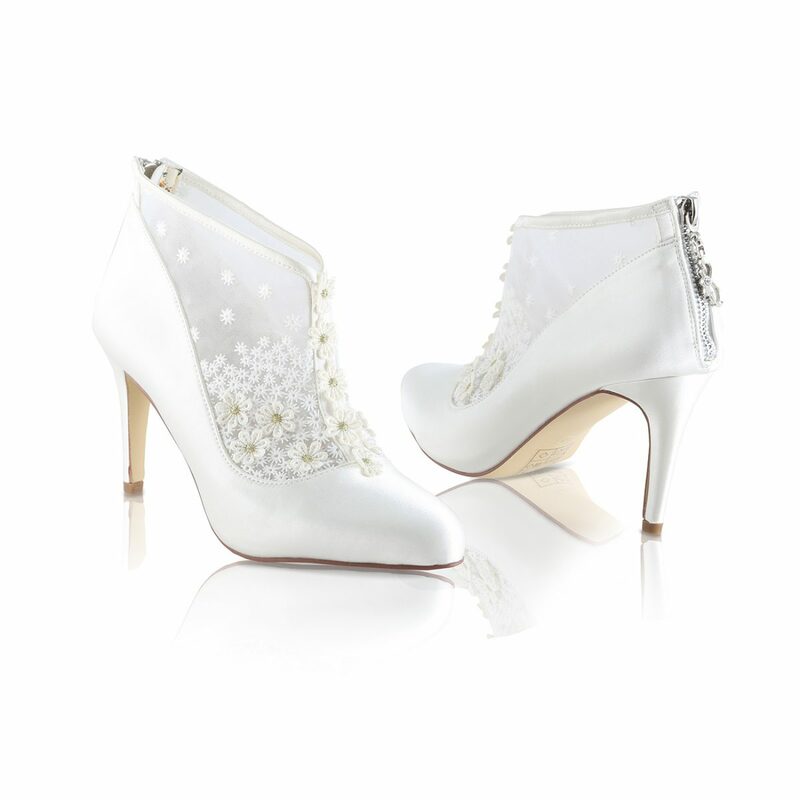 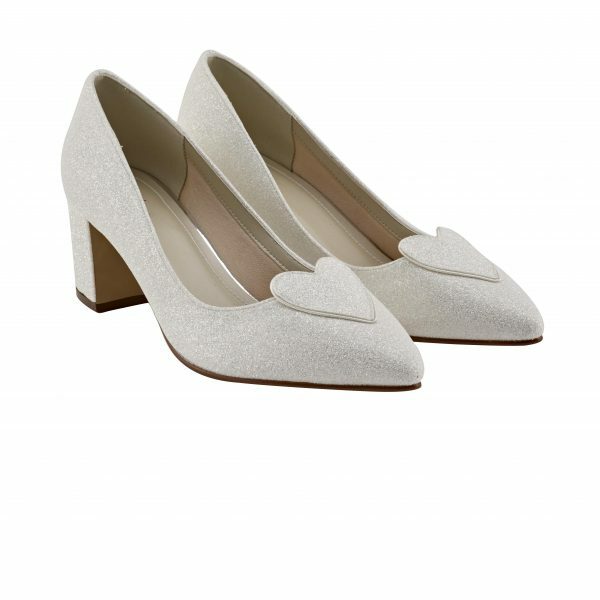 Combining a delicate daisy scattered floral mesh lace and a heart shaped diamante embellished zip on the heel! 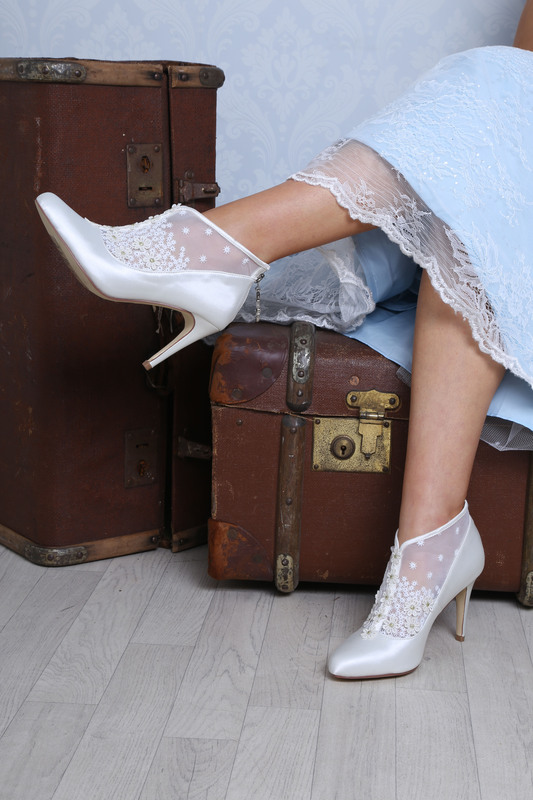 Hattie will suit almost any bride and are perfectly beautiful in either summer or winter and with either full or tea length vintage inspired wedding gowns! 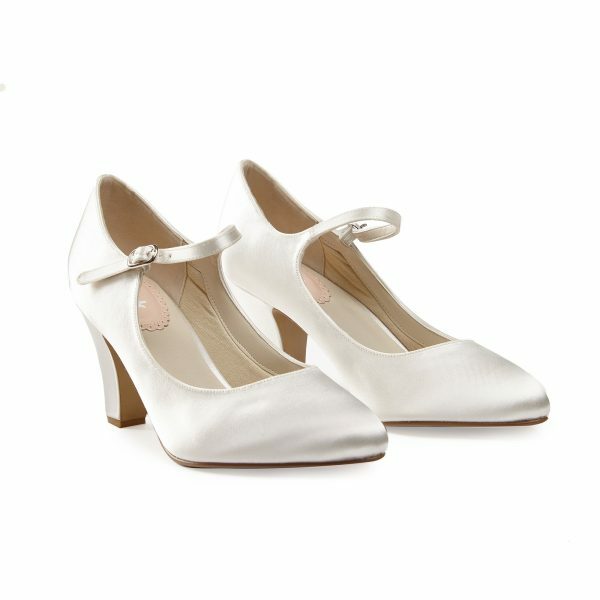 So beautifully vintage!